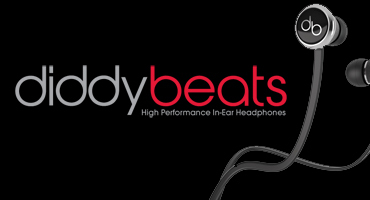 Monster, the leader in audio/video accessories, and Beats™ by Dr. Dre™, co-founded by legendary artist and producer Dr. Dre and Interscope Geffen A&M Chairman Jimmy Iovine, are proud to announce the official introduction of Diddy Beats™ (MSRP: $179.95), the latest addition to the hugely popular Beats by Dr. Dre headphone family from Monster. Created in conjunction with music entrepreneur and fashion icon Sean “Diddy” Combs, Diddy Beats integrate Dr. Dre’s incredible club-level bass, amazing clarity and sonic power into an elegant, sophisticated in-ear design. With their sleek black and silver chrome finish they look as great as they sound. “My mother played music for me as a child, and I grew up loving the way music made me feel. It brought out joy and pain. It was my first career, my first love. No matter how many roads I travel, my heart always takes me back there. 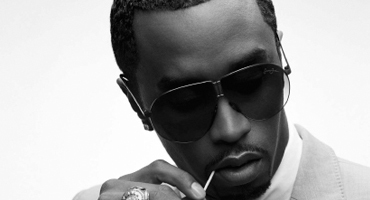 Music is my life, and Diddy Beats is an expression of how great sound makes me feel,” said Sean “Diddy” Combs. Since launching the Beats by Dr. Dre headphone line in partnership with Monster, Dre and Iovine have set out to reproduce the full spectrum of sound that musical artists and producers hear in professional recording studios. In September of 2009, the two companies announced Heartbeats by Lady Gaga, the first artist line that combined the style and vision of Lady Gaga with the sound of Dr. Dre. Diddy Beats come in an exclusive Sean John-inspired travel case and with an assortment of eartips to ensure maximum comfort and fit for every wearer. They also feature Monster’s exclusive matching flat black cable design that not only integrates into the overall look and feel of the headphones, but also makes them tangle-resistant. Diddy Beats are being made available with “with Monster’s ControlTalk™ headphone cable, which can be used with iPhone™ and iPod® for music playback control as well as to take hands-free calls with iPhone and many smartphones. The special Monster ControlTalk™ headphone cable features an integrated high-grade microphone and answer button and allows users to access their music and answer phone calls without having to reach into their pocketbook, backpack or pocket.